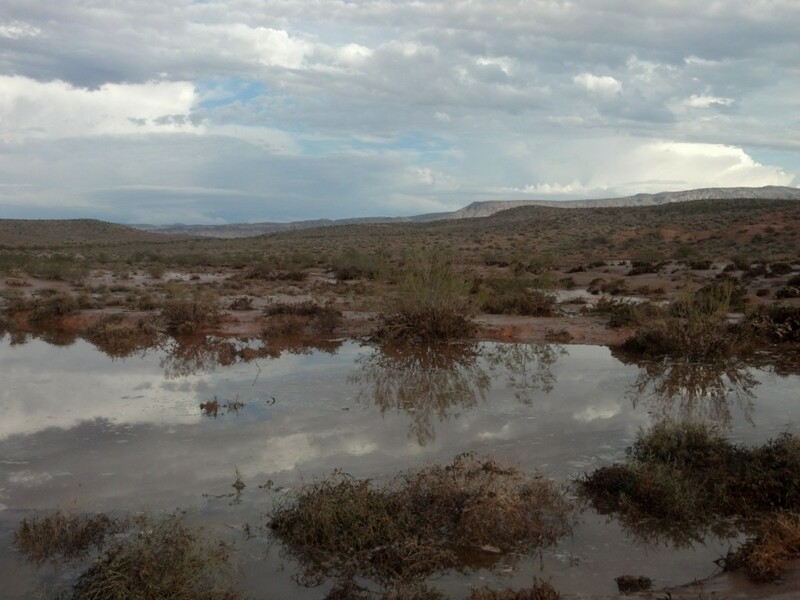 ARIZONA STRIP — As if in obedience to the National Weather Service’s 4:42 p.m. 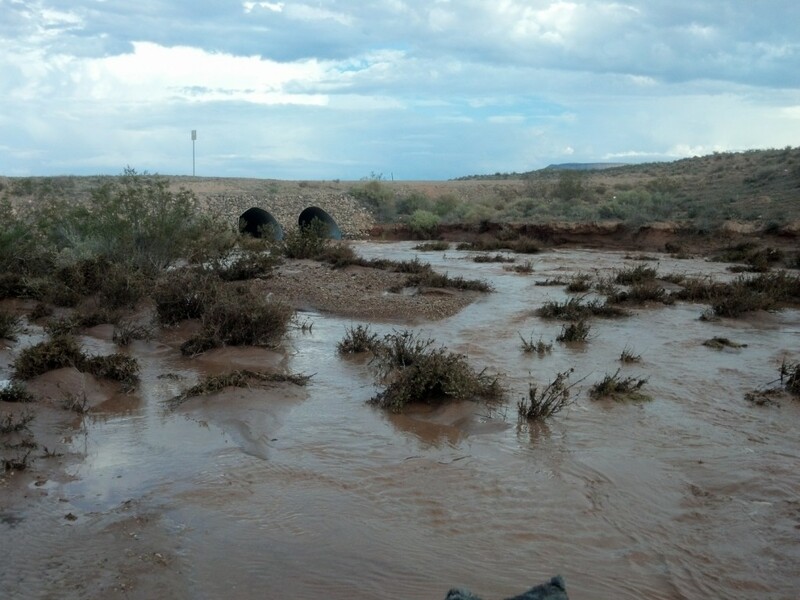 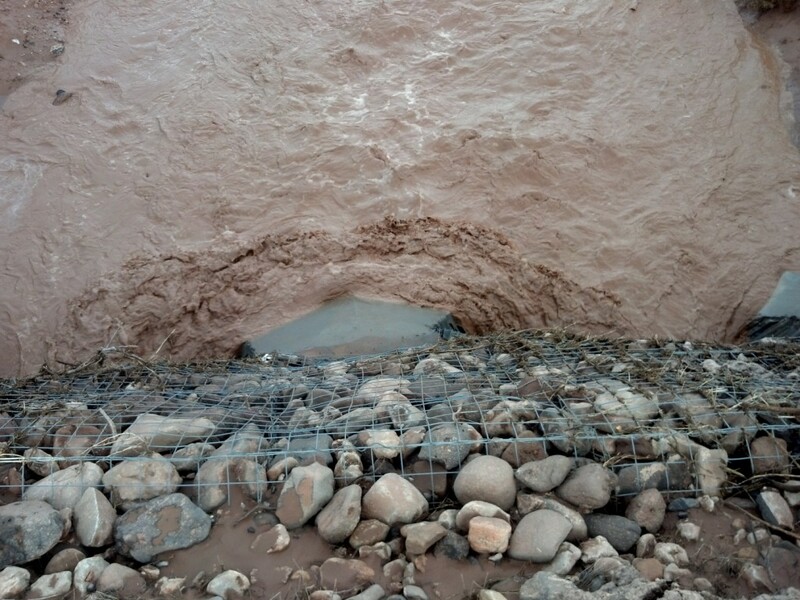 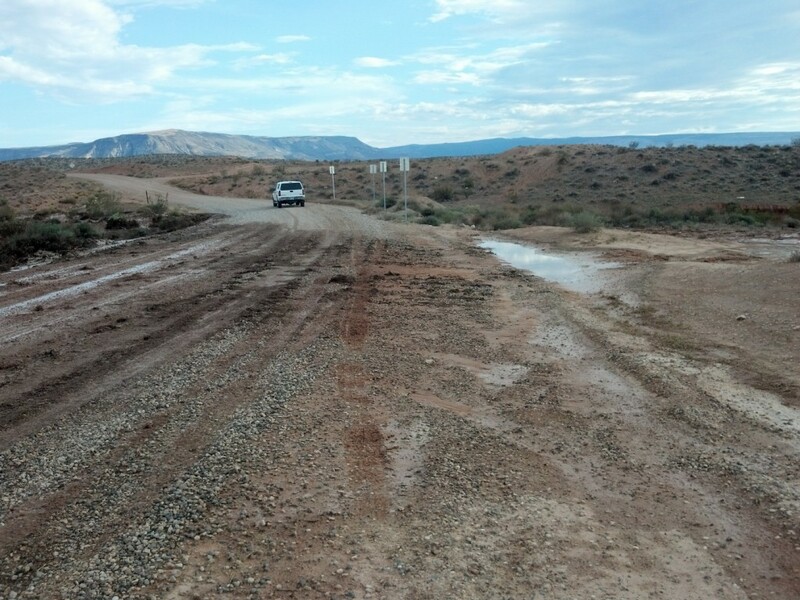 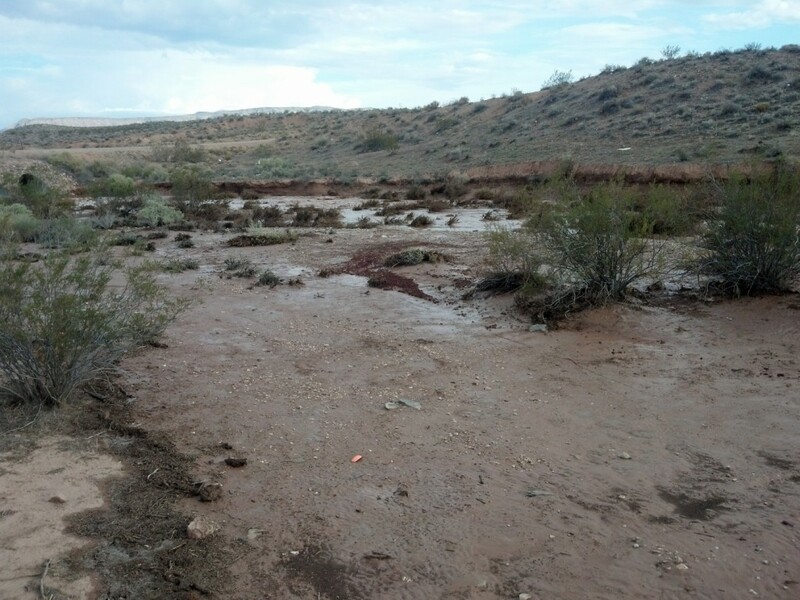 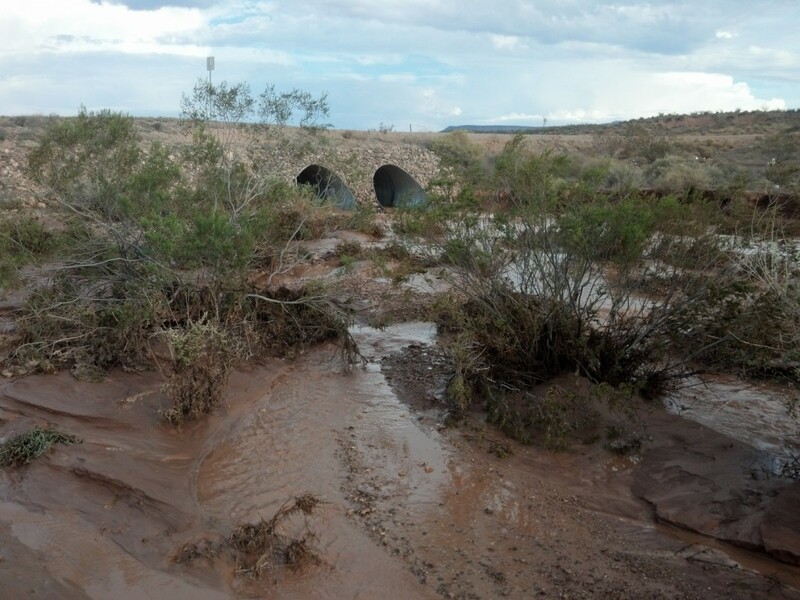 Flash Flood Warning for southeastern Washington County, one flash flood coursed through a normally dry wash that runs parallel to Southern Parkway overflowing onto the southern dirt portion of River Road on the Arizona Strip. 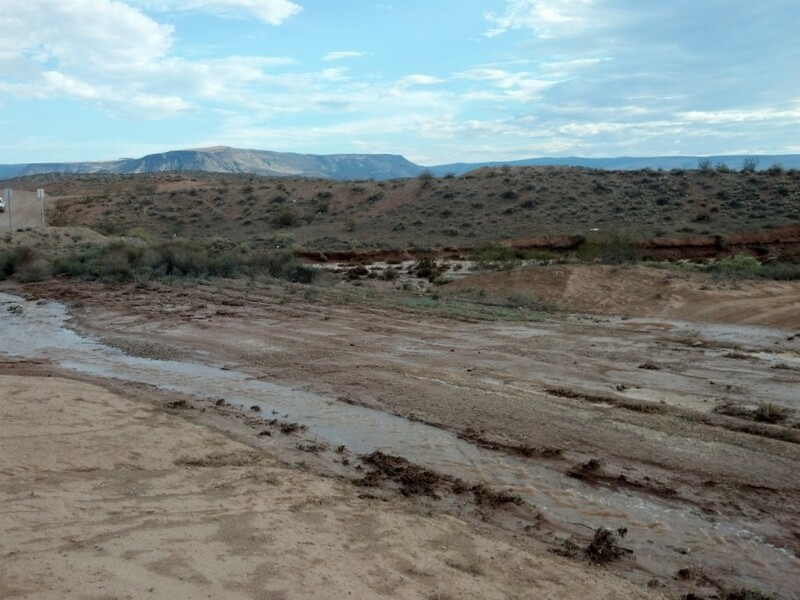 No calls were made for emergency services as the area is remote and open land but people traveling the area were turning out to watch it. 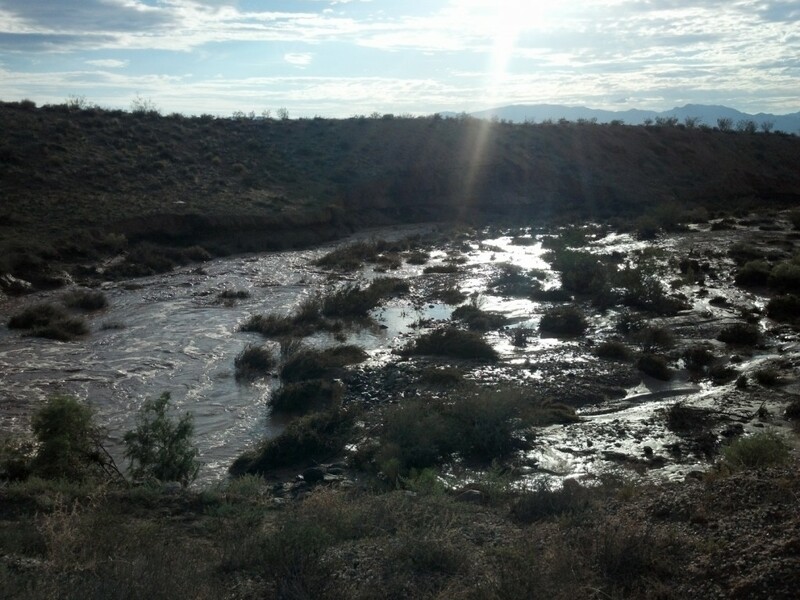 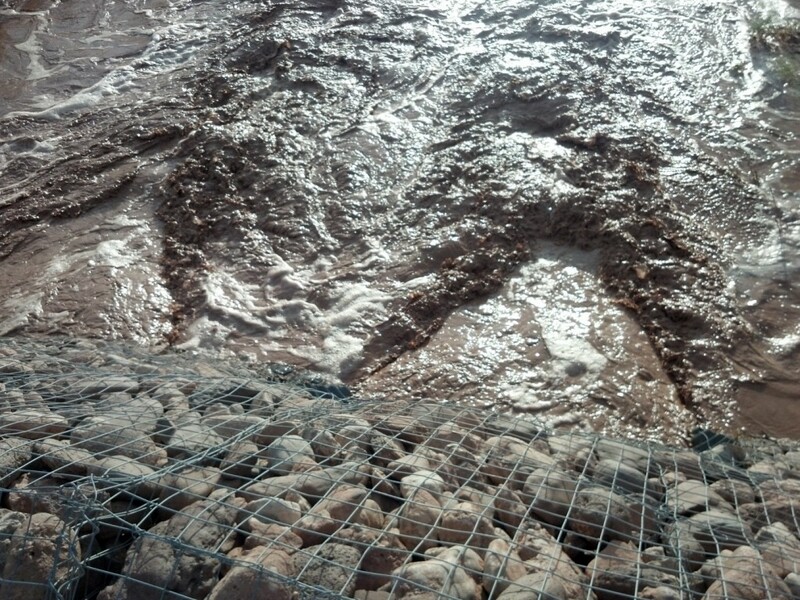 Sun did catch the full river on video, below, at about 6:30 p.m.
One hour later, at 7:30 p.m., the river was subsiding and the surrounding area was filled with new ponds and deep wet red mud. 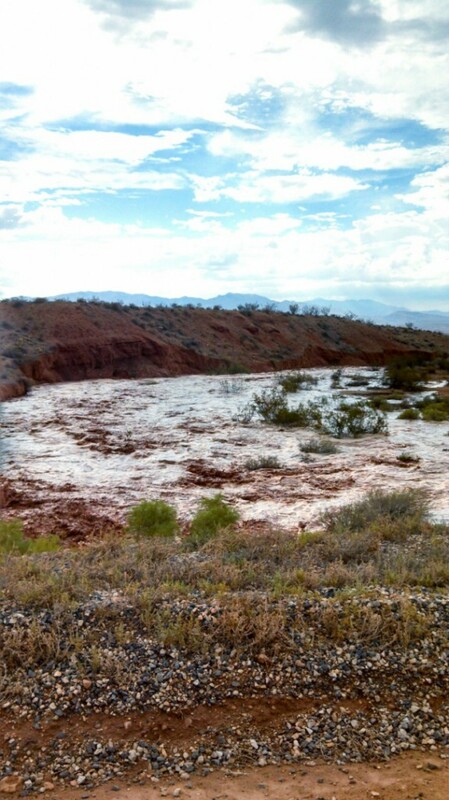 The water was still running through the wash with some strength.